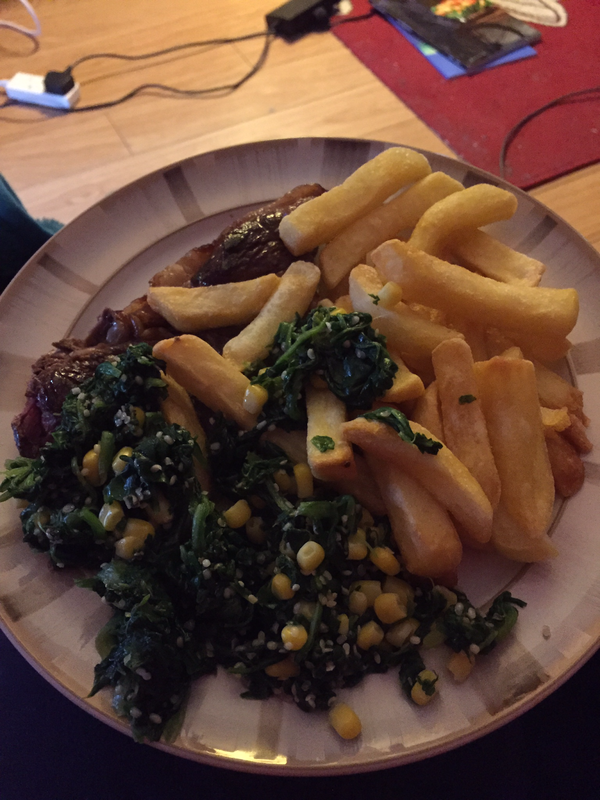 10 minute Dinner on a Monday Night – Should You Care? For the unaware, I’m very interested in my food and how its cooked. Its a passion I’ve developed since I’ve moved out into my own home and have had to cook for someone else. These are going to be the exploration into the food I cook daily or nightly. If you’re vegetarian this is not going to be a post for you. As I like my mean way too much to be doing many vegetarian options. I try to keep my dinners as healthy as possible, cutting down on fat and making healthy substitutions as I go. This was a serlion steak enough to well fill two people, I oiled the steak with extra virgin olive oil and then put it on a hot pan for 10 minutes total. 5 minutes each side. 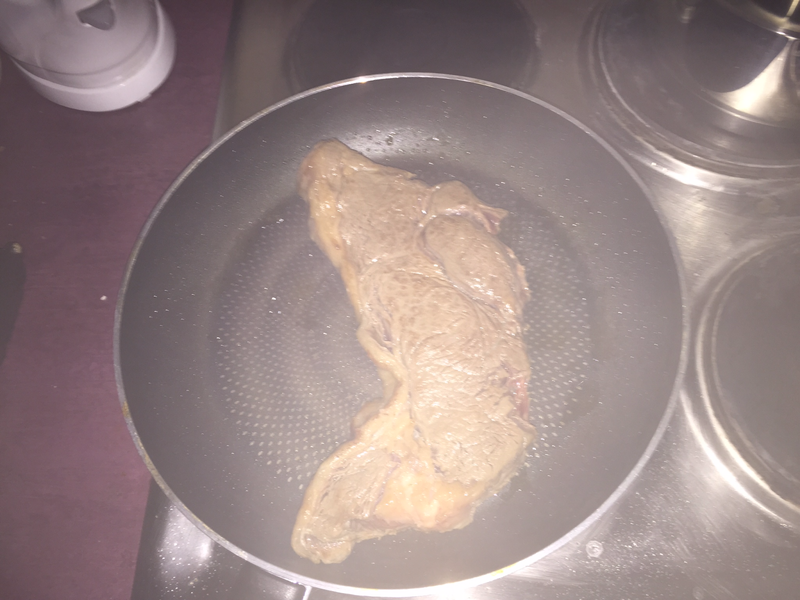 Myself and splinter prefer out meat Medium Rare, so for a steak that thick that was the minium we cooked it for. People give frozen veg such a bad rap but when you’re busy and broke frozen food is often you’re best asset in getting your daily requirement of veg. 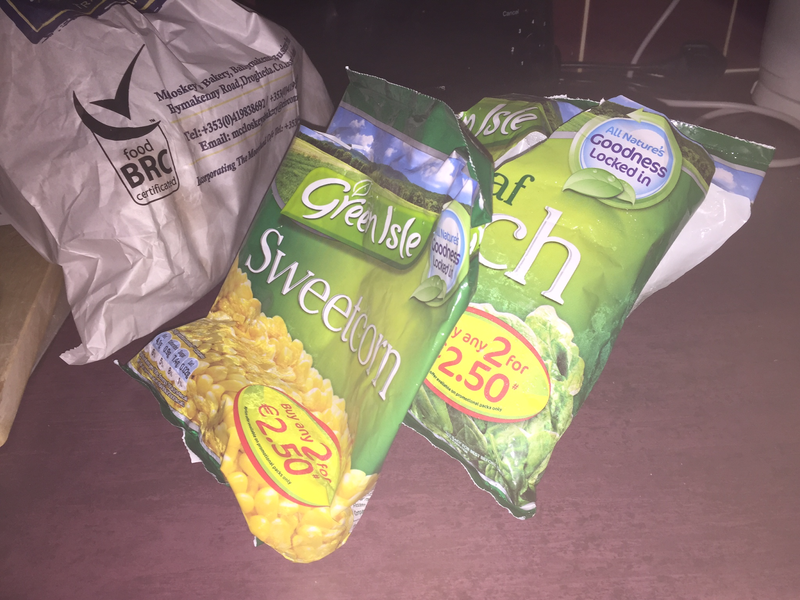 Today I used pretty good chunks of frozen sweetcorn and baby leaf spinach. Throw them both in a pot of boiling water for 5 minutes while the steaks cooking and jobs and gooden! I always like to throw in after the cooking process and the water is drained adding a teaspoon of Flora into the pot and melt it through, gives everything a bit more taste. I’ve been really interested in adding supplements to our diet. 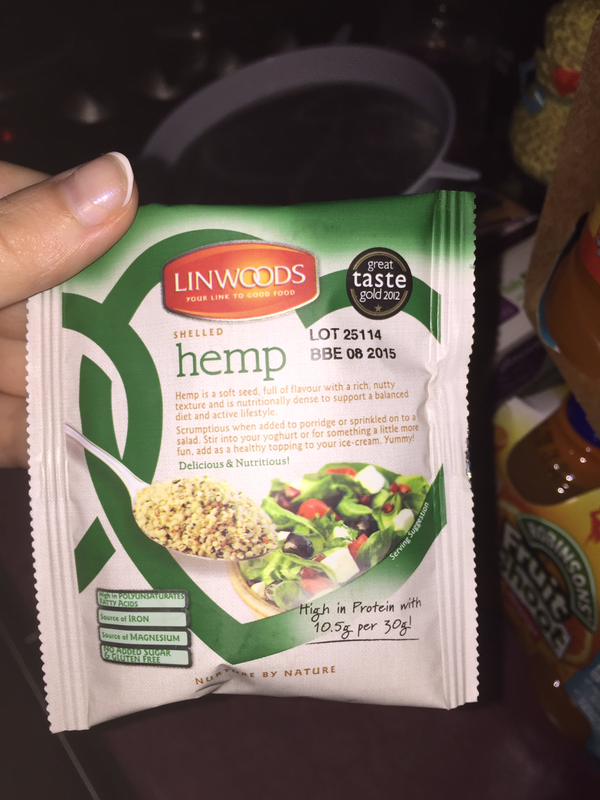 I’ve been using the Linwoods Mini Variety Healthy Food Packs. Admittedly its a running experiment to see how everything tastes and I’m happy to report that I’m liking it so far, its something subtle that you won’t really notice. Though as its something I always throw in on top of the plates or towards the end of the meal you do have to remember to put it in. But that is what I find the biggest obstacle is. Other then that, the tastes are very palatable and can add a great layer of dept in the texture of your food without making the experience jarring. The one thing myself and mark can report from using them, is that we do feel noticeably fuller after eating a meal. So we’re not binge eating as much or eating out of boredom. This is the final product, which I’m happy to report was very tasty. Slight miscommunication with Splinter about the chips, but sure it was still tasty with the addition of chips. Chips makes everything taste better.